Initial product reliability and durability are determined by design, materials, and construction technique. This third element, the one most often overlooked in making purchase comparisons, has always been a key factor at Commercial Manufacturing, and is now gaining focus, not so much for its role in product durability, but rather for its impact on food safety. Construction technique plays an important role in both. 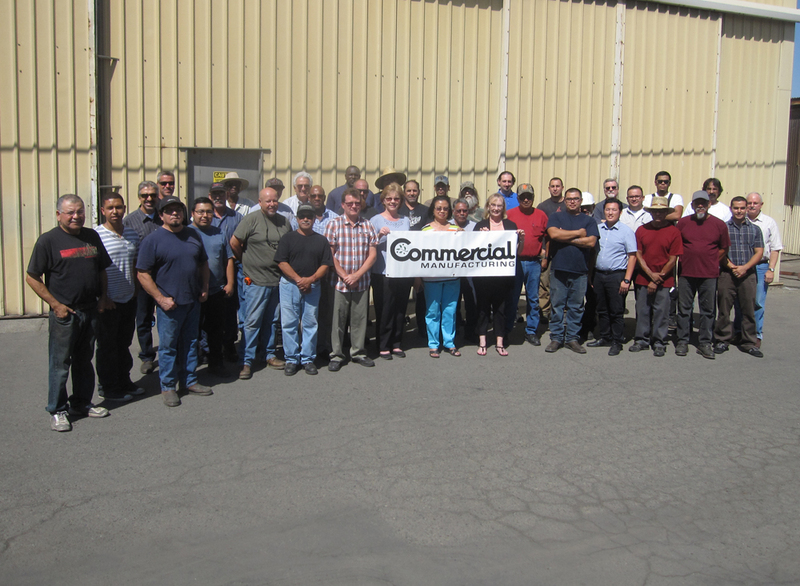 About 95% of the machinery Commercial Manufacturing builds every year is customized in some way or another. The implication is that we will not soon be setting up robots to cut, form, or weld equipment together. We therefore depend a great deal upon the skill of our craftsmen who have on average 20 years experience with our company. When you depend on the skill of your craftsmen to produce consistently high quality results, you need to support them with the best tools you can find. Besides their individual hand tools and welding machines it includes providing them with component parts that are accurate down to a few thousandths of an inch. Precise alignment of parts enables the type of neat, clean, and sanitary welds that are necessary for food safety. 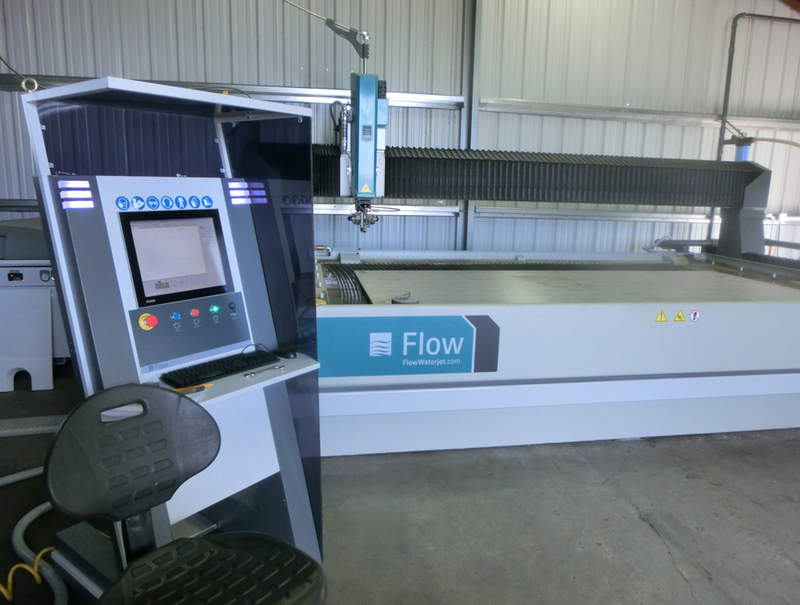 In order to obtain greater accuracy we use a water jet cutter to precisely cut and mark sheet metal pieces for subsequent steps. A 230-ton press brake bends the metal into exact form prior to welding. Machined components are produced on a computer controlled lathe to obtain highly accurate dimensions. Lead men and journeymen welders oversee the fabrication of equipment, and teach their skills to newer, and less experienced members of the team. They are expert at estimating and countering the effects of heat distortion in the welding process to end up with a flat and true piece. Their welding work is followed up by trained helpers who clean the welds, and even grind, smooth and polish them when the weld specification calls for it. 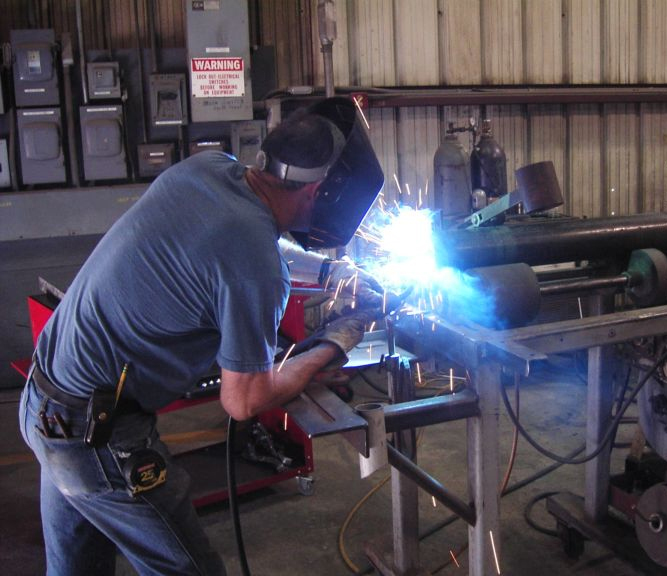 Commercial Manufacturing uses various welding techniques depending on the accessibility of the component, the gauge and type of steel, the quantity of weld to be applied in a given area and whether the weld is inside or outside of the product contact zone. Complex structures such as air cleaners have many different components including frames, pans, air legs, collectors and air locks that require the use of more than one type of welding technique during the fabrication process. The two largest factors in determining the type of welding that can be used are 1) accessibility to the work area by the fabricator, and 2) whether the type of welding will cause excessive warping of the structure. When you order a piece of equipment from Commercial Manufacturing you can specify the predominant type of welding to be applied to the machine. Keep in mind, however, that a specific part may require an alternate style of welding due to the factors named above. When an alternate welding technique is required, Commercial will do its best to follow as closely as possible to the predominant style as we can. 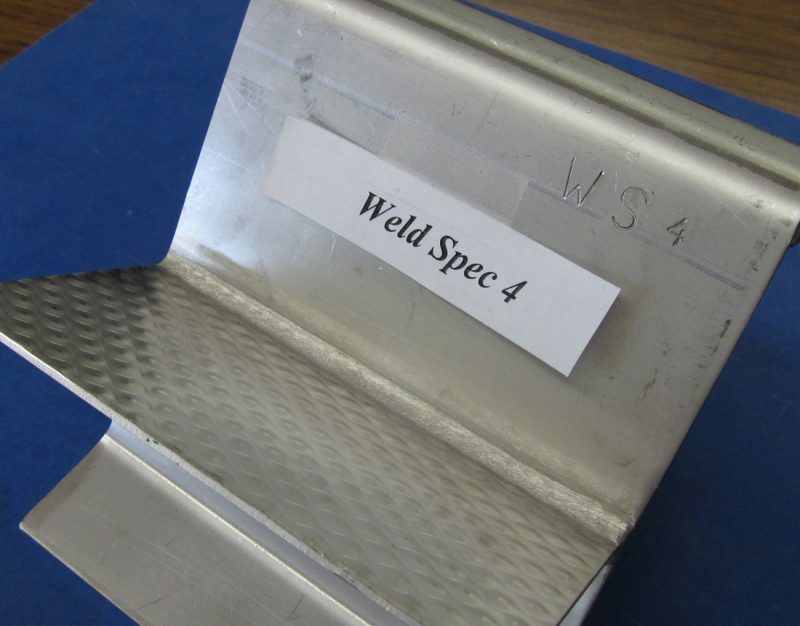 If it is possible to build the entire structure with the one type of weld you specify, we will do so. Before new equipment leaves our shop it is Quality Control inspected by our manufacturing and engineering teams. 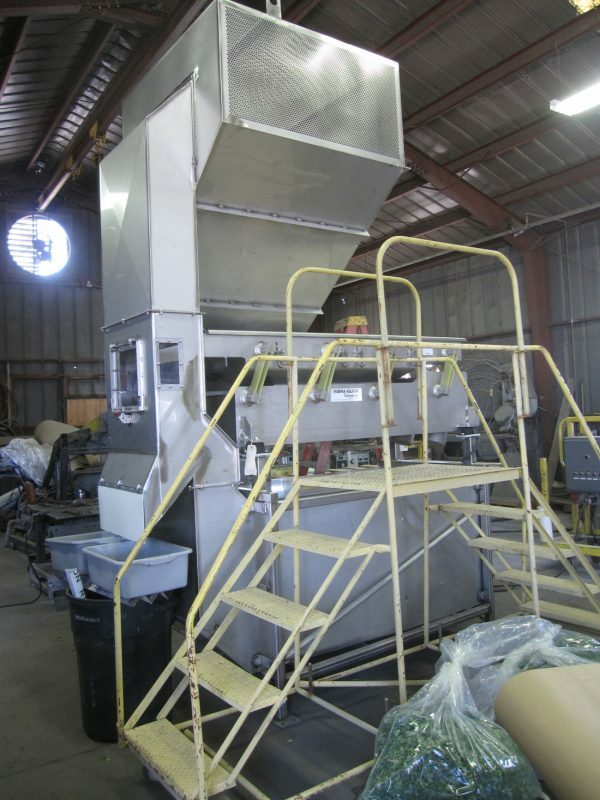 Attention is paid to assure that the machine meets worker and food safety standards. 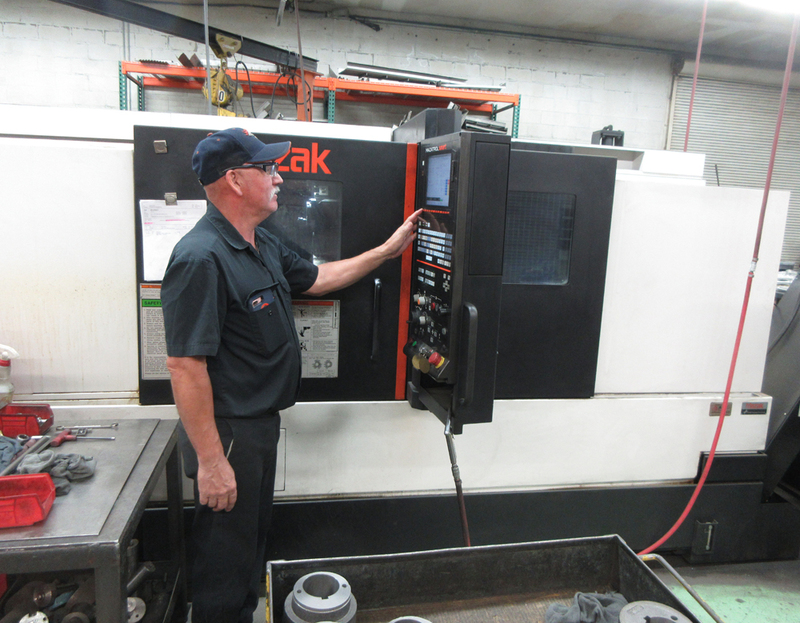 We also test run the machine, making tuning modifications to bring the performance up to design goals or standards.